Moms and dads are often shocked that defiant behaviors can rise during and after spring break week. Even though the break has its value, there is also a sense of grief at its ending. So, don't be surprised if your child has a hard time getting his or her academic motors started again. 1. Your youngster may not have the body awareness or language skills necessary to explain to you about the tingle in his nose or the pressure in his sinuses, but the light-headedness and "spacey" feeling that often accompanies allergies may leave your child feeling distracted and disoriented. If itchy eyes, sniffles or headaches accompany the onset of defiant behavior in your home, check with your doctor about the possibility of an allergy diagnosis. 2. As your child’s spring fever continues to build, celebrate accomplishments more often and make privileges easier to earn. Provide more rewards more often. Emphasize earning rewards by staying afloat academically. However, don't make the reward staying up late or anything that would work against your youngster in school. 3. Help your child transition from spring break back to schoolwork. One way to guide her to accept the necessity of schoolwork in springtime is to help in finding a sense of closure at the end of spring break. This can include gearing-up for the coming school tasks, setting up reward systems, and promising to make summer plans after your youngster is back in the routine of school and homework. 4. The wild swings in weather that often come with the onset of spring can represent a disruption of routine for a child who is sensitive to change. Changes in climate can bring changes of air-pressure that can leave him feeling out of sorts for no good reason, too. Long days of rain and the lack of outdoor play it brings can make your child restless, and staring out a classroom window at a beautiful sunny day can make it difficult to focus on schoolwork. Thus, try to keep routines as consistent as possible, and have a supply of fun rainy-day activities on hand. 5. Changing from one set of clothes to another can be a challenge to a child with tactile sensitivity (e.g., getting used to different fabrics and styles, having more skin exposed, dealing with stiff new tags, mourning the loss of favorite yet outgrown outfits, etc.). Make sure to keep her sensory-related clothing preferences in mind when buying new things for the new season, and do whatever customizing is needed (e.g., cutting out tags, washing jeans several times to make them softer, etc.). 6. When there are only a couple months of school left to go before summer vacation, your child may be making major developmental leaps. He may be speaking more, processing more, moving more, sensing more, etc. When your child jumps to a new developmental level, everything has to come apart and get put back together again in a stronger and more advanced form. The “falling-apart” episode can be difficult for everyone, but wait: things will be much better when the growth spurt is over. In the meantime, be aware that “growth spurts” can be a profoundly disorganizing process for a child. Kids with sensory integration and motor planning problems may find the difference in length of limbs and distance to the floor confusing and frustrating, and may have to completely revise their already blurry body awareness. An attitude of "giving up," anger, clumsiness, regression of motor skills, and tears for no reason can all be signs that your youngster is coping with a growth spurt poorly. Explaining the dilemma can help, and extra support and lowered expectations will be called for. 7. Fear of change is foremost in a child’s mind as she wonders if she will be able to survive the milestone of the next grade, anxiety about summer, and fearing how it may be next year in school. So be patient with your child during these difficult transitional periods. “Bad” behavior may simply be her coping mechanism for the moment. 8. Separation anxiety is another reason for defiance as your child anticipates the loss of daily classmates, familiar routines, and teachers with whom he has reached an understanding. A common reaction to this is frustration and anger, because then it isn't necessary to grieve the loss of the familiar, and the pain associated with grief (i.e., sadness) can be avoided. 9. Your child is not the only one reacting to “springtime stressors.” YOU are too. If you are agonizing over the way your spring clothes fit, feeling the changes in weather, getting caught up in vacation plans, going crazy with closet changes, suffering from allergies, and worrying about what to do with your youngster over the impending summer vacation – all of these things may raise your stress-level and lower your levels of patience, understanding, and time to spend with your child. Your youngster is likely to react to that very poorly. Stop and take a look at whether your stress is becoming contagious. Then shift gears and start to smell the roses. Help your youngster smell them also. 10. School vacations can lead to stress due to changes in routine and large blocks of unstructured time. Traveling during these vacations brings with it a whole additional level of routine-disruption and stress. Try to keep things as normal and planned as possible during spring break, and give your youngster plenty of preparation for new and interesting activities or places. Deliver maximum support, but have minimum expectations during these potentially difficult times. When parents understand that most of the defiance associated with spring fever is physiological rather than behavioral, it will be easier to be prepared. Start by using some of the suggestions above. Even the most insightful mother or father makes mistakes when it comes to raising children – especially preschoolers who are at the age where they begin to assert their independence for the first time (similar to when they become teenagers). You can't erase your worst parenting moments, but with some introspection, you can keep from repeating them. 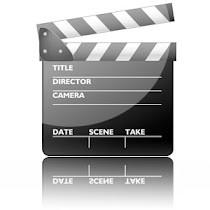 Even “parenting experts” who are also parents themselves admit that they have moments when they wish they could have hit rewind on their parental performances. It may seem like your defiant preschooler has the innate ability to push you to the outer edge of sanity. Fear not – you're not alone. Preschoolers want to own their newly discovered autonomy, but they also want the close attention and love of their parents. Be inconsistent: Few things can confuse your defiant preschooler more than an inconsistent parenting style. If you are sometimes very strict, but give in other times, or simply don't seem to care what your preschooler is doing, he will have a very hard time knowing what is expected of him and how to act. Be reliable: If you punish bad behavior “X”, then always punish bad behavior “X”. If you reward good behavior “A”, then always reward good behavior “A”. 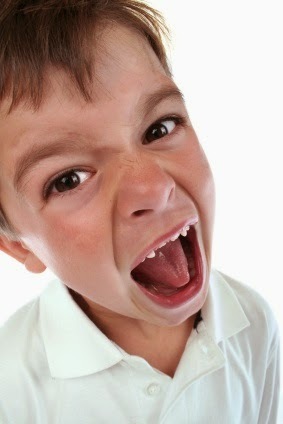 Encourage whining and complaining: Does your youngster's whining drive you nuts? For example, does it drive you crazy when, right before bedtime, your youngster starts crying, "I want a glass of milk," or "I want a watch the animal channel"? Moms and dads often give in to this whining just so the child will shut-up, but this only reinforces the attention-getting behavior. Your youngster will figure out which buttons to push – and then push them over and over again. The preschool years is the time when your youngster comes out of her shell. So be careful, because she will figure out what works when it comes to getting her way. Ignore whining as much as possible: For behavior that isn't aggressive (e.g., whining and sulking), you're better off if you don't respond at all. If you're consistent with this, your youngster will think, "Heck, my whining tactic doesn't work". Focus on the negative: It's easy to zero-in on your youngster's negative actions (e.g., yelling and screaming) and ignore the positive ones. Moms and dads tend to focus on what they DON’T want their preschoolers to do rather than on what they DO want (e.g., “don't hit” … “don't throw” … “don’t spit” … “don’t kick”). Catch your child doing things right: Notice when your youngster is doing something positive, and reward that behavior. The reward for positive behavior can be your praise, or it can be giving your youngster a big hug or kiss. Those types of rewards really go a long way with preschoolers – even defiant ones (e.g., "I noticed you sat quietly during dinner. That’s you being respectful”). Forget about one-on-one quality time: Your youngster may play well independently, but that doesn't mean he doesn't crave your attention. There's something a child misses out on if the parent doesn’t get on the floor and play with him. Not only do moms and dads not get down and play, they are too easily distracted by their cell phones, emails, and Lord only knows what. Preschoolers aren't living in a vacuum. They know whether parents are really paying attention or not. Get on your child’s level: Set a timer, be enthusiastic, and stay involved for your designated play period with your youngster. Thirty minutes of concentrated play time where you give your undivided attention is better than all day when you're only paying partial attention. 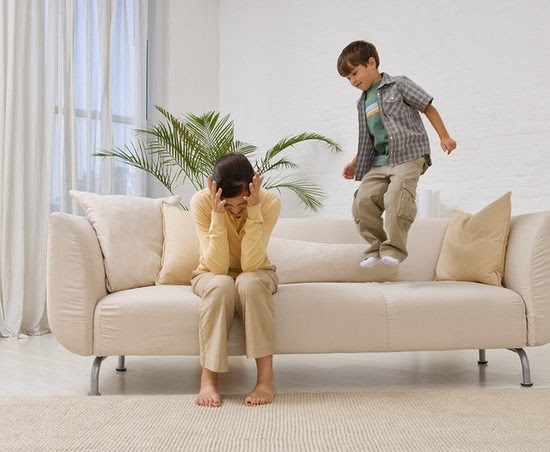 Ignore warning signs: Moms and dads often try to reason with their kid when she is in the throes of a temper tantrum, repeating, "You need to calm down, you need to calm down." But that's like trying to reason with a bull while you’re riding on its back. You've got power right in front of you when you can still distract or anticipate, but once the tantrum is in full swing, you've lost it. Your youngster is not hearing you. Know your child’s red flags: Figure out and anticipate what her natural warning signs are (e.g., hunger, fatigue, boredom). So, for example, don't take your youngster shopping unless she's napped and feed (or you've stashed a healthy snack in your purse). Keep doing what doesn’t work: Not recognizing or changing your parenting techniques that aren't working is as big a problem as not trying to fix problems in the first place. Does what you do or say usually backfire when you attempt to address a particular issue? For example, you may think that sending your child to “time-out” is an effective form of discipline, but if you have to use it each day to correct the same problem, then it should be obvious that it isn't working. Stop the insanity: If it isn’t working – quit doing it. Try something different that is appropriate for your child’s age. Constantly refine your parenting tactics. Overreact when you catch your child lying: Lying really angers most moms and dads. But they need to view this preschool-behavior as “experimenting” rather than as a “moral issue.” When preschoolers start to lie, it's a big cognitive advance …it’s both exciting and somewhat frightening …it has an emotional charge. But then the parent typically freaks-out and has visions of her youngster winding up in prison, so she gets very worried – and angry – about it. Avoid catastrophizing: Whenever you catch your child in a lie, simply point out that you know it is a lie. Call it what it is (a lie), and then state the truth (e.g., “Robert, you said you took a shower, but that’s a lie, because I can see that the shower is still dry. The truth is you have NOT taken a shower yet”). Take your youngster’s “bad” behavior personally: It’s easy to take misbehavior personally when your youngster says something hurtful to you. But while it’s important to accept that you will get upset from time to time and your feelings will be hurt – you must never show it. If you do, you have just revealed a button that can be pushed time and time again. 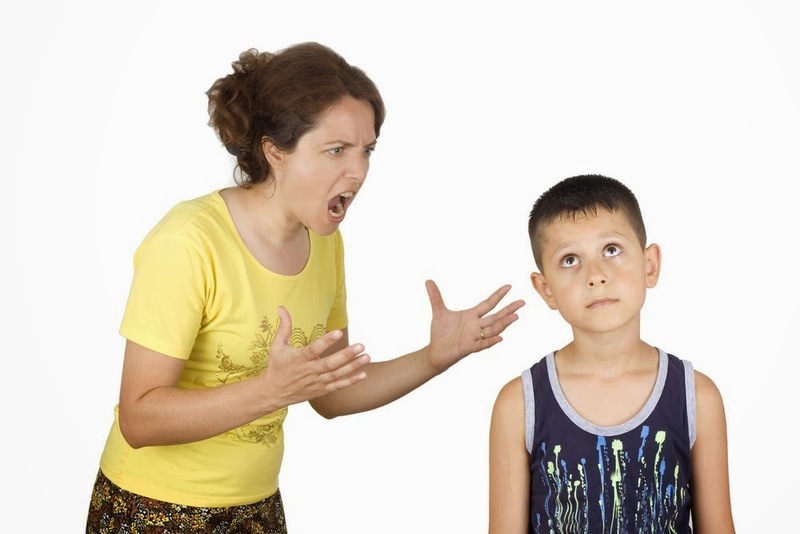 Calm down before issuing consequences: You may get upset when your youngster misbehaves or says insulting things. That’s natural. You’re only human. But recognize when you are TOO upset. Remind yourself that when you feel this way, you’ve got to give yourself some time before you interact with your youngster about it. Calm down before you come up with your discipline technique. Overlook the importance of routines: Consistency is key for defiant preschoolers. When you're being inconsistent with your routine, preschoolers get confused and may act-out even more. If sometimes you let them do something – and sometimes you don't, they don't understand. For example, your youngster probably wants to know why last time you let him play on the playground for 15 minutes when school got out, but this time you want him to get in the car right away. Know that defiant preschoolers are starved for structure: Be as consistent as possible across the board – whether it's with or mealtime routines, play time, sleep habits, or discipline. If your routine is consistent most of the time (minor exceptions are acceptable) and your youngster is doing well, then so are you. Be all bark and no bite: A surefire way to make sure your preschooler never listens to you is to threaten a consequence, but fail to follow through with it. Be a “follow-through” parent: No parent enjoys being the “bad guy,” but if your youngster behaves inappropriately, there has to be a consequence, or she will never learn that a particular behavior is inappropriate. Repeatedly saying, “If you don't stop that right now, you’re going to your room” won’t stop the misbehavior. All your youngster hears is, “I can keep doing this a few more times.” Instead, give one warning (e.g., “If you continue to ___, the consequence will be___”). Then if your youngster continues with the misbehavior, issue the consequence immediately. Break your own rules: When Mr. Wilson’s 3-year-old daughter got into things that she wasn’t supposed to (e.g., picking up a lit candle from the dining room table and walking across the room with it), this father would slap her hand and say "no, little lady" in a stern voice. "It worked great," Mr. Wilson said, "until her preschool teacher caught her slapping the hands of any classmate who took her toy!" Mr. Wilson quickly realized that he couldn't say it was wrong for his daughter to smack her classmate’s hands when he was doing the same thing to her. Remember that you are always being watched: Preschoolers are little copy-cats, mimicking your “bad” behavior and modeling your poor choices. If you don’t want you child yelling when she’s mad at you, for example, then don’t yell when you’re mad at her. Wait too long to issue a consequence: One parent recalls being stuck in traffic with her 3-year-old son, Cory, when he started getting fidgety and tried to wiggle out of his car seat. Frustrated with the slow trip home and having to repeat over and over, “Stay in your seat,” this parent told her son that if he didn't put his buckle back on correctly, he wouldn't get to have a bedtime story that night (a strategy that worked great with her son’s procrastinating about getting into his pajamas and brushing his teeth before bed). However, this time, bedtime was 9 hours away, so the threat was basically meaningless. Cory didn't stop playing with his seat buckle, and it seemed pointless to remind him about it hours later when he was getting ready for bed. Help your child with his short-term memory: Preschoolers don't remember what they did wrong an hour after the fact. Thus, parents need to show them the consequences of their actions as close to the misbehavior as possible. For example, if your youngster hits a friend with a toy car, never mind about cancelling tomorrow's playdate. Simply take the car away. Your preschooler is going to test you at every age and stage. It’s his job to push boundaries and see where the line is drawn. As your child gets older, it can often feel like you are running through a parenting obstacle course. Just when you’ve figured-out “preschool behavior” and its many challenges, your youngster moves on to the next phase. In any event, while parenting mistakes happen, it’s always a good idea to “refine” what you’re doing over the years so you can adjust your reaction to your youngster’s behavior. Refinement helps you become a more effective parent over the long haul. Defiant children are usually raised in homes where limits are too lenient or inconsistent. One or both parents may not be available to give the youngster any attention. The mom or dad may also demonstrate defiant behavior. Add more and more consequences. Don’t follow through with consequences and try to be inconsistent. Engage in confrontation in front your child’s peers or siblings. Fight every parent-child battle that comes along, regardless of how big or small the problem is. Get annoyed at every little thing your child does wrong. Let power-struggles go on for a long time. Lose your temper (e.g., yell or use sarcasm to escalate the problem). Try to bribe your child to improve his behavior (e.g., let him have his way just so he will shut up). Try to embarrass your child or put him down. Analyze the power-struggles you have been hooked into (e.g., what hooked you?). Be sure to listen to your child and consider what he is saying. Discuss things briefly and in private to remove the audience. Give clear directions to your child. Have clear boundaries and predetermined consequences for problem behavior. Monitor your tone. With an unruly child, you may become triggered to be negative too. This is a mistake. So keep your tone neutral when your child is oppositional, and be positive when he is neutral or positive. Remove yourself from the interaction if you can’t stay calm. Turn your oppositional child into a “helper” (e.g., creating the grocery list, how to organize things in the garage, what vegetables to plant in the garden, etc.). Defiant kids have a strong need for control, so helping them to find pro-social ways to channel that need can be a great technique to help them gain a sense of control and self-worth. Of course, make sure that your child is appropriately prepared, trained, and supervised in the task at hand. Use a calm neutral voice – no matter what!!! Use rewards carefully. Defiant behavior is often driven by the child’s resistance to being under your control or authority. Therefore, reward systems may not always work, especially if the youngster senses your desire to tame or manipulate him.